ORIGINAL MIX DESIGN » Welcome to our new website! Ever heard of the old story of the ‘Cobblers Son’s Shoes’? Well after having our old website up for almost 10 years (yes, THAT long), we finally decided it was about time we made a new pair of shoes for ourselves. Our old site served us well, but after producing so many websites using the WordPress platform for our clients, it only made sense we made the switch as well. It’s been going awesome so far and we’re really enjoying the new responsive layout. We look forward to hearing your feedback, so don’t be shy, let us know what you think by leaving a comment below. 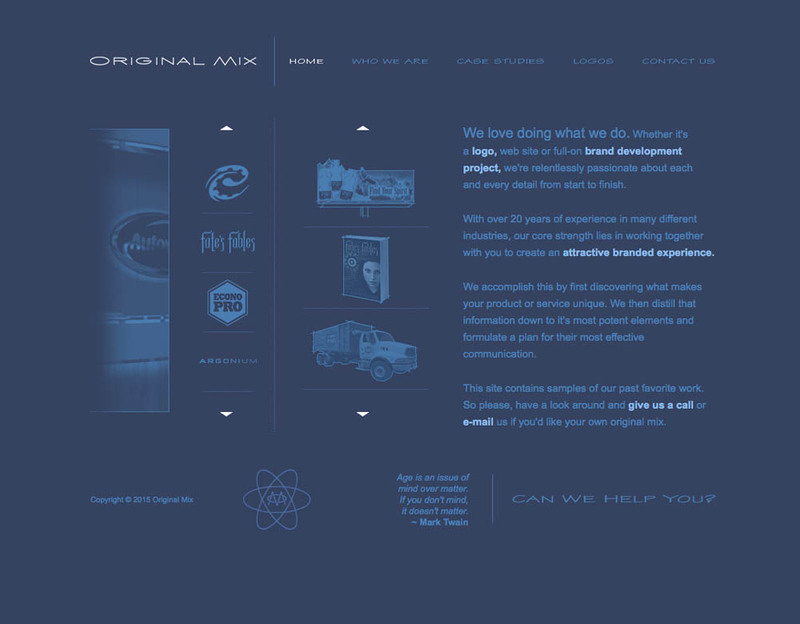 Fantastic new website for originalmixdesign and what a diverse portfolio! Logos are some of the best I’ve seen & totally world class! Each project and/or company’s layout is very to the point & is perfectly expressed.